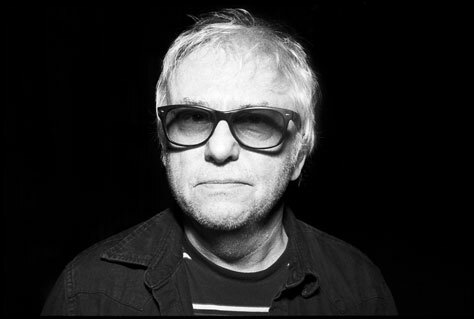 We’re delighted to be working with the legendary Wreckless Eric for the first time – with special guest Vinny Peculiar! You can’t talk about Wreckless Eric without mentioning his enduring hit Whole Wide World – covered in stadiums and sheds from Aberdeen to Alabama – but there’s more to him than just that. With over 40 years of recording and touring behind him he shuns the dictates of nostalgia and doesn’t do comebacks for the simple reason that he never went away. His 2015 album amERICa was an urgent reminder of what he’s about, and new album Construction Time & Demolition is a musically complex trawl through the psyche of a man with plenty to say and nothing to lose. It’s always been that way: loud, dissonant, lyrical and gently melodic – cogent music for desperate times. Special guest is Vinny Peculiar. Singer-songwriter and poet Vinny Peculiar (aka Alan Wilkes) grew up in Worcestershire and trained as a nurse before signing to Manchester cult label Ugly Man records (former home to Elbow). He’s since put out twelve albums of literate autobiographical pop music over a twenty-year career and has regularly toured band, solo and duo shows. Variously described as ‘an under sung national treasure’ (Uncut), ‘a warm hearted Morrissey’ (Q) and ‘the missing link between Jarvis Cocker and Roger McGough’ (Irish Times), his past work associations include Bill Drummond (KLF), Luke Haines and Jah Wobble (PIL), and his various bands have included ex-members of The Smiths, Oasis, Aztec Camera and The Fall. He’s also written and recorded as Parlour Flames, the band he formed in 2013 with ex-Oasis rhythm guitarist Bonehead. Current ‘concept’ album Silver Meadows is set in a 1980s long-stay psychiatric hospital, and is also in development as a musical stage play. New album Return of the Native, a Worcestershire-inspired collection of songs, comes out in May 2018. Buy tickets now. Tickets are available from the bar (no booking fee), Vinyl Exchange, WeGotTickets.com, Ticketline.co.uk and on 0871 220 0260.